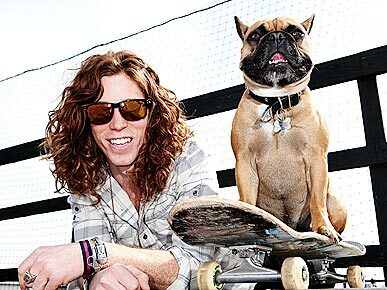 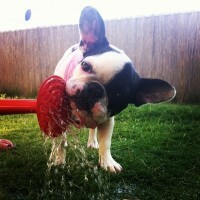 Can A Bully Get A Drink? 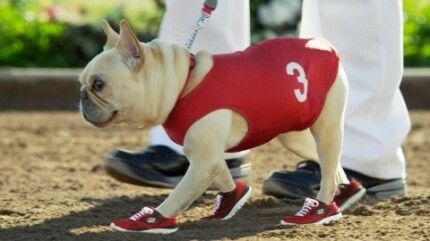 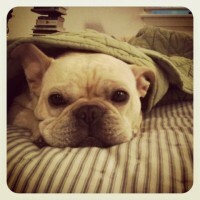 French Bulldog- Mr. Quiggly To Steal Super Bowl Spotlight! 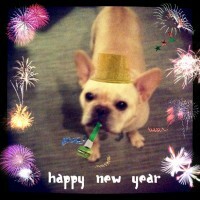 Hope everyone gets to ring in 2012 with the pups they love, and that 2012 brings plenty of snuggling and face-licks! 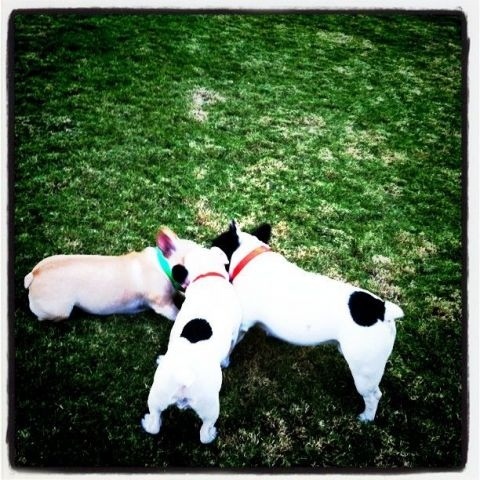 This photo from @kittimages and our tweeting french bulldog friend @teevagirl got us wondering what this meeting of the doggy minds might bring... A Frenchie Revolution perhaps? 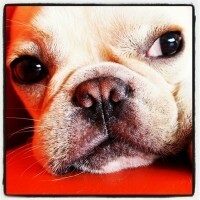 What would a #FrenchieRevolution bring? 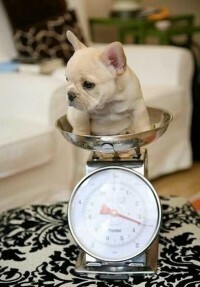 Adorabilité? 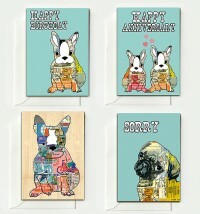 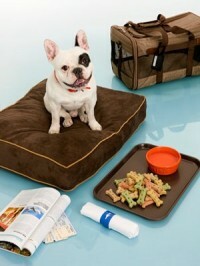 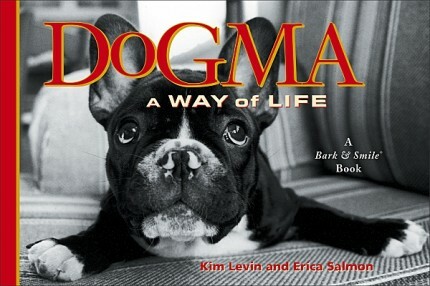 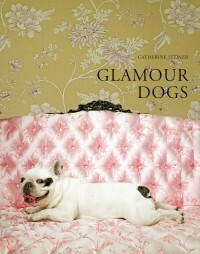 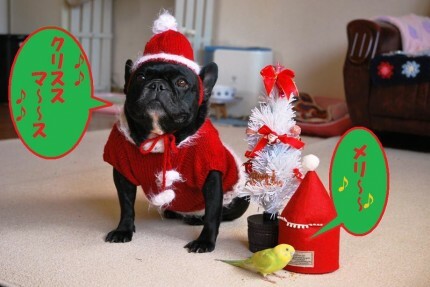 Best Last Minute Gift for a Frenchie Owner? 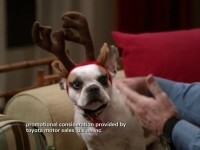 According to Modern Family- Dog Antlers. 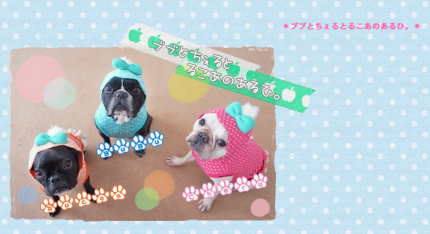 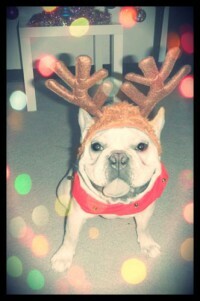 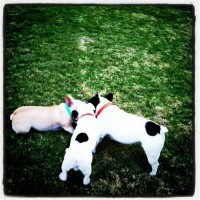 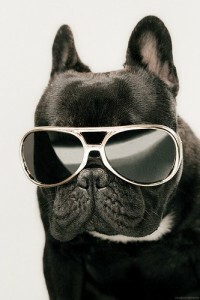 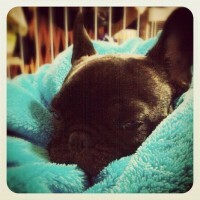 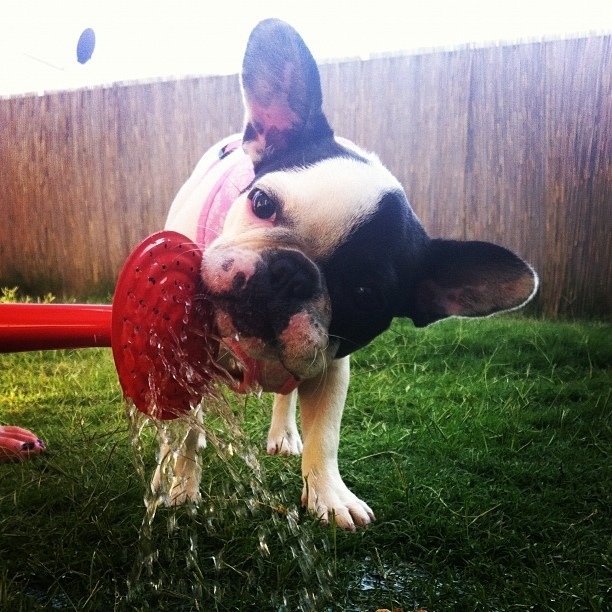 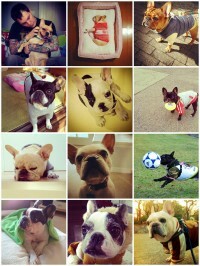 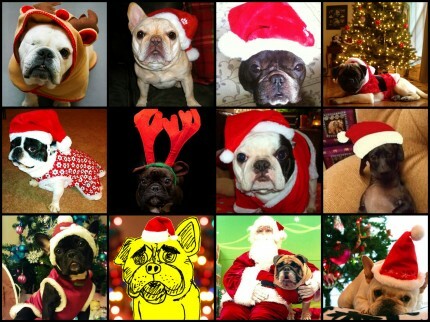 French Bulldog Holiday Photo Contest Continues! Some things stay the same across space and time. 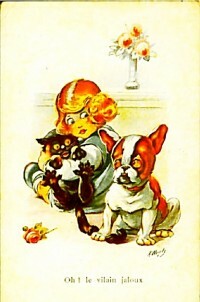 From the looks of this World War 1 era postcard the French Bulldo's, the quest for the spotlight has been going on for nearly a century!